A token of love suitable for any occasion, this heart necklace is beautifully presented in a personalised gift box. 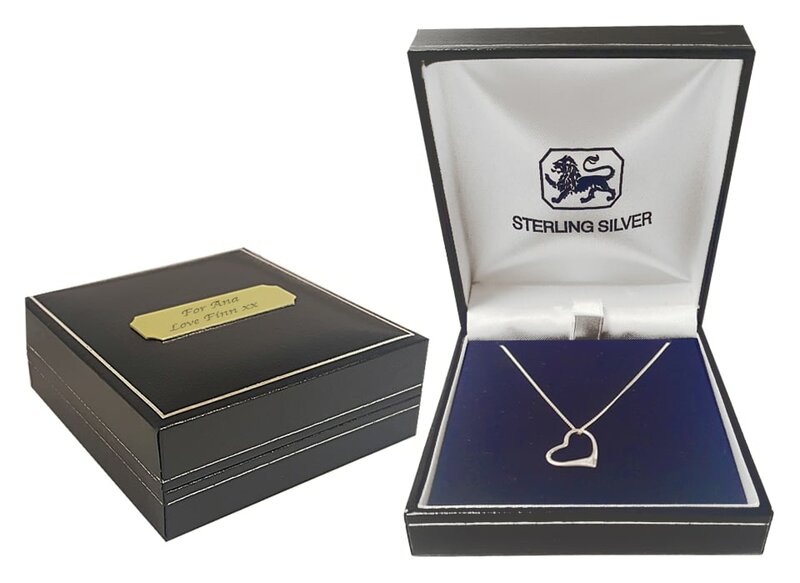 The highly polished box is engraved with your personal message on the lid. When the recipient opens the gift box they will find a delicate sterling silver heart charm with matching necklace. The ideal gift from a boyfriend or family member. Show how close to your heart she is with the gift of this heart necklace.